Now you see why cocaine was so popular. Hope you have a good time AS! Happy to hear there's still some life in that town. I was there yesterday in the afternoon and it was dead Jim. since Monday have rained away, yes. Hafta try and be happy anyway. The feels like temps are awful for this time of year, it feels like late Sept.
Part of balcony garden not developing normally. it's gonna be a late Summer , and much warmer , longer . always happens that way . chin up Toker smoker ,, ya gonna love it . I wouldn't want to be a farmer here this year, but apparently crops are doing well in spite of the cold. Crops on an Iceberg ? 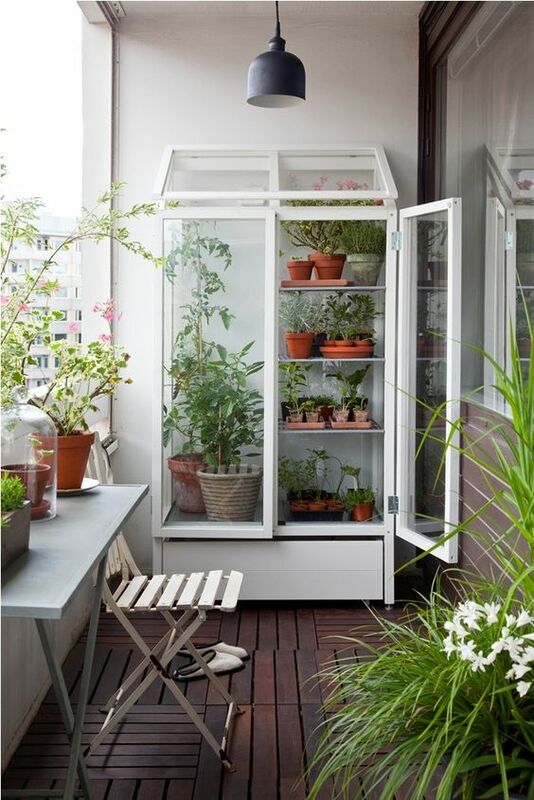 AS I don't know what types of plants you are trying to grow, but if colder weather is becoming the norm up there, then why not try to find some old windows at the dump or recycling centre and construct a terrarium, something like this? Or even just keeping is simpler by making a window lean-to structure? Hmmmyes, been thinking about that. for my needs - not too wimpy, not too harsh. Just happens to be an unusually cold "summer". (07-20-2017, 08:31 PM)Accidental Stoner Wrote: Hmmmyes, been thinking about that. But, that's the flip side of the climate change debate - that the Earth is actually getting colder. The only constant is change, when it comes to climate. conclusions, though. What is "normal" supposed to be? (07-20-2017, 08:43 PM)Accidental Stoner Wrote: The only constant is change, when it comes to climate. In the meantime, a terrarium will offer your plants protection when needed and if not needed, just open it up.